visual metaphor – Critical Hit! Hey, everybody! I’m trying out a new format for analyzing video games with this critical Let’s Play. For a while now, I’ve felt that video is much more suited to analyzing games and I hope you all will agree! I decided to return to the Chinese Room’s masterpiece, Dear Esther , because it’s so dense and there’s so much to say about it. I’d love to take this as an opportunity to talk about the game with all of you, so feel free to leave a comment and start a discussion! 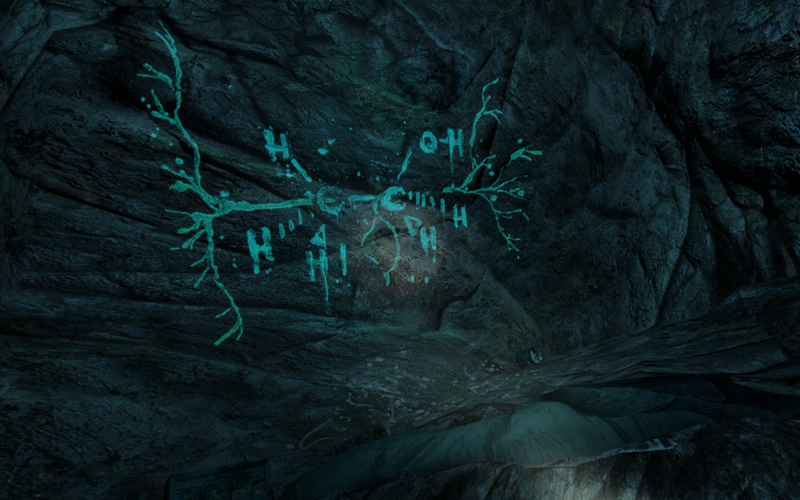 Much has been said of the fragmented narration and ambiguity in Dear Esther. Traditionally, this has been taken for a more surface-level understand that the narrator’s mind is similarly fragmented. However, there is more to it than that. The inherent contradictions in the narrator’s speech and visual metaphors show that Pinchbeck may have had more in mind than just character depth and ambience while writing in these details. Rather, he presents the player with the existential story of an intellectual discovering the lack of meaning in the world and the uselessness of his own intelligence. The narrator’s voice is notably flowery. In fact, I have seen many complaints about Dear Esther as being written in a style that is too “pompous”, “cryptic”, and—yes—even “intellectual”. In one opening monologue, the narrator describes the island as “a singularity, an alpha point in my life that refuses all hypothesis” (jetty-a). Using a word like hypothesis in common speech suggests that the narrator is in a field that involves some kind of academic pursuits—a place where “hypothesis” would be commonly used. References to “singularity” and “alpha point”, which are fairly complex scientific and religious theories respectively, immediately immerse the player in the narrator’s intellectual speech. Furthermore, the narrator continually cites Donnelly as if he were writing an academic paper and not a letter to a loved one. In one of the first triggers, the narrator says “Donnelly reports the legend of the hermit” (first climb). The narrator describes Donnelly’s material as “obscure, the writer’s literary style… even more so” (cliff path-b) which leads the player to believe that Donnelly’s book is a pursuit only an intellectual would take on. With this understanding, the fragmented narrative and contradictions within the narrator’s own speech give the player a whole new lens through which to look at the story. As an intellectual man who cannot even make sense of his own words and thoughts, the narrator transforms into a symbol of the failures and inherent contradictions in all pursuits of knowledge. The narrator even goes as far as to describe “ascribing purpose, deliberate motive to everything” as “delusional” (cliff path-c) which hints at the same existentialist thoughts in the narrator himself. Perhaps most convincingly, the visual metaphor of complex ideas painted onto ancient ruins and cave walls reduce the greatest achievements and advancements in human history, what the narrator calls “the last vestiges of [his] civilisation” (lower valley #2), to no more than cave paintings. Not only does this image undermine their value to society, but it has also noted that these drawings relate to Esther’s death as one of the images is of an alcohol molecule—a possible cause of the crash. In this case, the player could interpret these paintings as the narrators frustration; we know all of these things and yet none of it could save Esther. In the second two chapters, the player sees hints that the narrator associates religion and science as both having forsaken him. The majority of the cave paintings are scientific, but in chapter 4, these images climax with a long and large biblical quote. Taking this in the same light as the scientific drawings, the narrator sees religion as similarly useless in finding answers in the world. 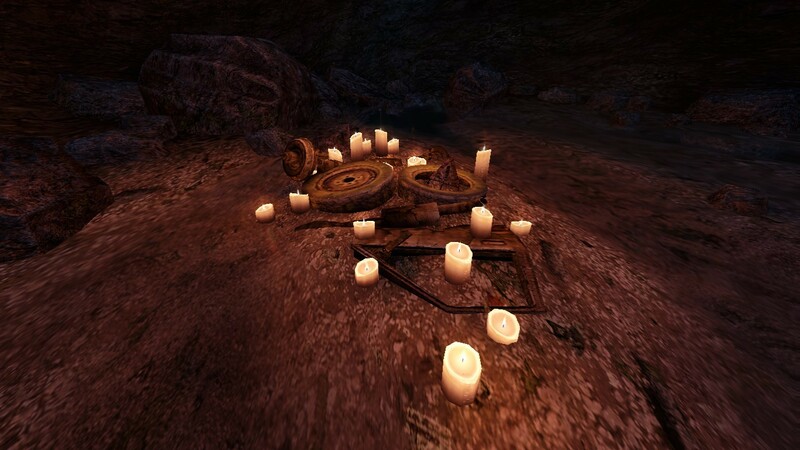 Further evidence of abandonment by all human rationality can be seen in a cave in chapter 4 in which the player finds a boat constructed of car parts and surrounded by candles. The boat has a notable resemblance to the one the narrator used to wreck himself onto the island. In this case, the car parts refer not only to the accident but technological advancement whereas the candles give a ceremonial feel to the image. By using these pieces to create the boat that the narrator used to strand himself on the island, it would seem that the narrator feels that all deeper thought has abandoned him on the island. *At a better angle this looks significantly more boat-like. I would encourage you to check it out in-game. If these visual metaphors aren’t convincing enough, the narrator specifically notes contradictions in different pursuits of knowledge in the script. At the “Valley top” in script A, the narrator asks if previous island inhabitants could “walk the bible and inhabit its contradictions”. This suggests that the narrator has already turned to religion and was disappointed in its inability to lead him to any real answers. The opening monologue—as previously cited—juxtaposes science and religion in a similar way. He references “a singularity” and “an alpha point” which are both ideas that theorize that there is a certain point at which human consciousness is not capable of understanding any more than it already does. Between the narrator’s monologues and the visual metaphors, there is significant proof that the inability to truly understand the world plagues the narrator. With this in mind, the story transforms into one that is not only about the death of the narrator’s wife but rather the death of intellectualism, reason, and all meaning in the narrator’s life. *Quotes taken from the full script as released by the Chinese Room. If you enjoyed this, like and share. It helps a lot! If you want to read more about Dear Esther, check out some of my other posts: Island of isolation and the Narrator as a Christ-figure. 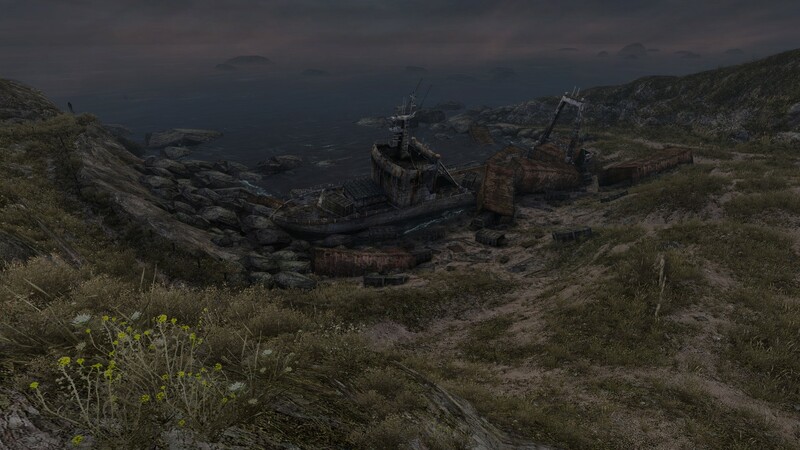 Dear Esther takes place on a Hebridean Island which depending on the interpretation is either metaphorical or a place the narrator strands himself with the intention of committing suicide following the death of his wife. The player traverses this island and never comes in contact with another human (despite references to other inhabitants). Furthermore, these inhabitants are referred to as hermits, lonely (like Jacobson), and out of touch (like the shepherds). The visual text also shows the island’s isolation (and desolation) with crashed and decaying ships surrounding the island. Thus, the player receives the same sense of isolation that the narrator feels due to the loss of his wife. These are all things that could likely go unnoticed but, upon further inspection, show brilliance in artistic design. 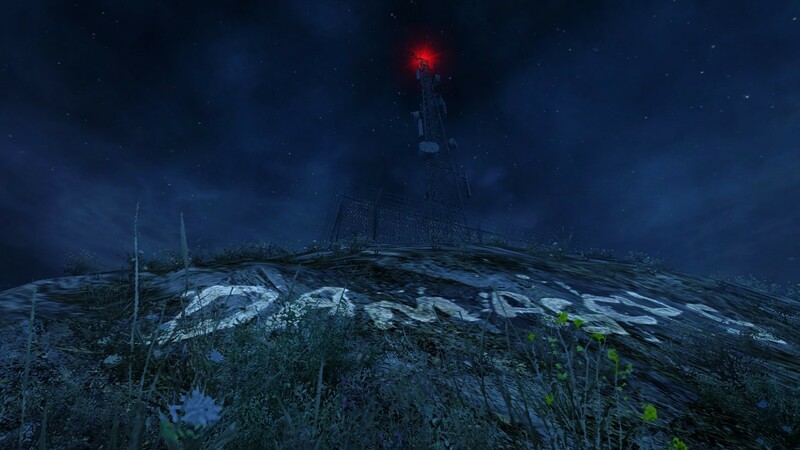 What did you feel about the isolation in Dear Esther? What other aspects of this game do you think The Chinese Room did well? Leave a comment in the section below! For more on Dear Esther, click here to read about the Narrator as a Jesus-figure or an Existentialist view. If you are interested in learning more about Quick Crits, click the About tab.